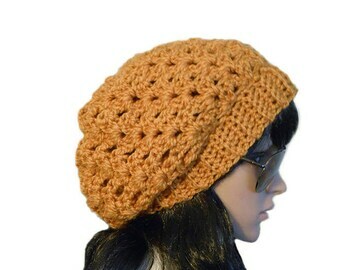 in our BEST Selling slouchy hat beanie design ... using soft medium chunky yarn! 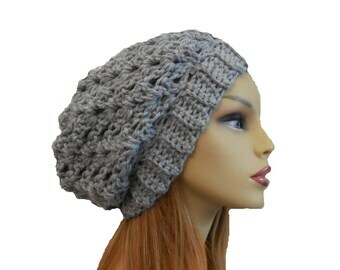 Here is our most popular Slouchy Beanie Hat design in a wonderful medium chunky lambs wool blend yarn. This yarn is one of my very favorites! It is very soft and warm. 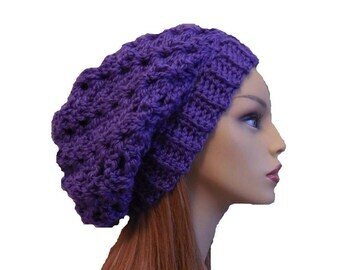 Approximately 19 - 20 inches circumference (the hat band), with stretch. and 10 to 11 inches depth. 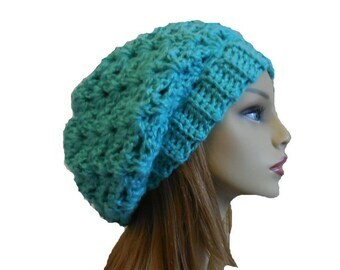 You'll love how comfortable it is when wearing! 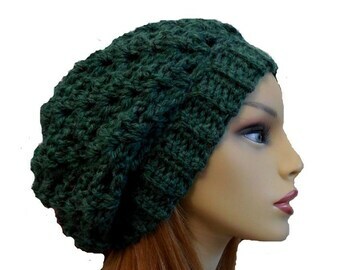 You will barely know you're wearing it, yet it will keep you nice and toasty. 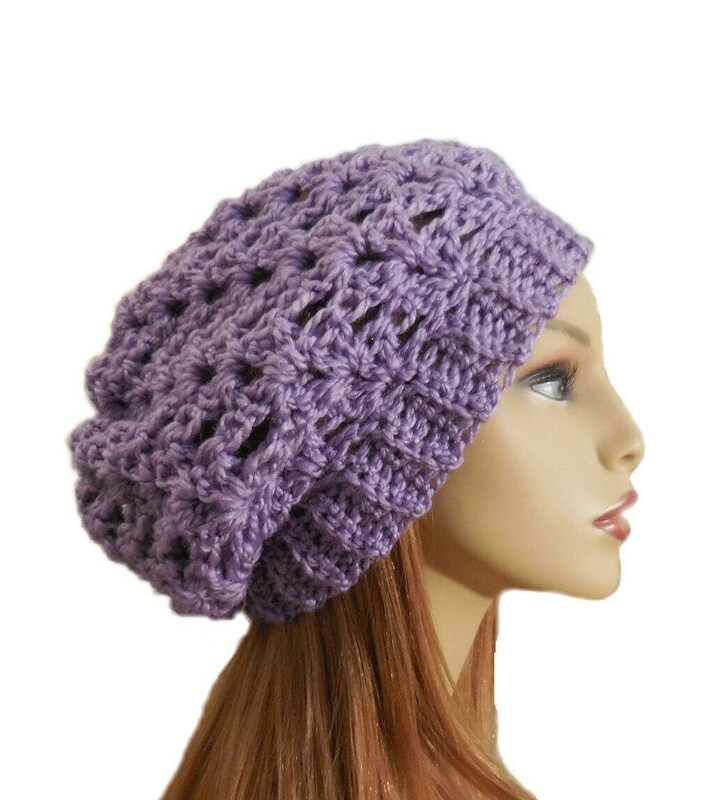 The slouchy hat is handmade crochet with medium chunky yarn that is 25% lambs wool, 75% acrylic, in a lavendar light purple color.